You may assume clothing is easier to pack because it’s so versatile and can be configured in many different ways. 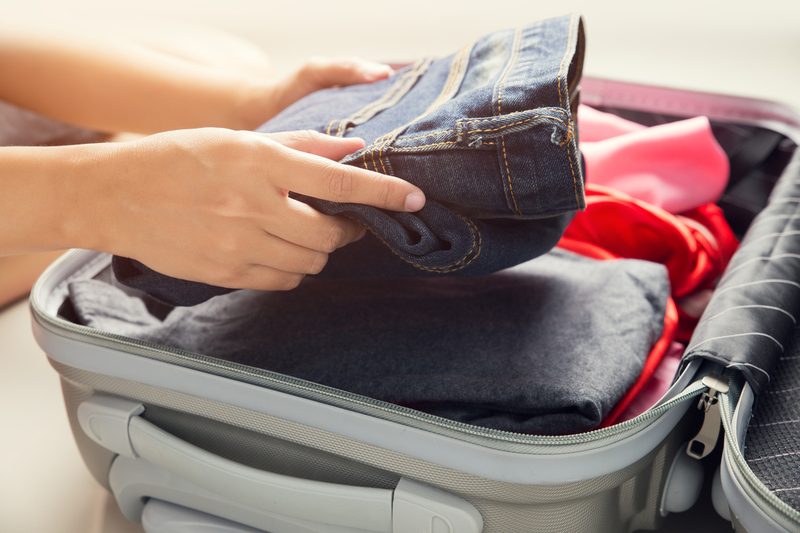 You’re partly right – the very flexible nature of clothing means you have many options when it comes to folding and packing it. However, there are optimal ways to prepare clothing for moving so as to prevent wrinkling, tearing and other damage. Follow these six tips. This is a critical first step. Sort out your clothes and select the pieces you want to take with you and another pile for those you will donate or trash. Donate clothing that is gently worn and throw out clothing that is stained or torn. Another option is to use the damaged clothing as packing material for other stuff. You can save yourself time later by grouping now by material, size, purpose, type or season. This will make the unpacking process easier when you arrive in San Antonio. Save a couple of outfits to put in an overnight bag so you can have easy access to them on moving day and the day after. The rest you can pack away, such as special occasion clothing like formal attire, outdoor clothing and swimsuits. Unlike for dishes and other delicates, you can use ordinary cardboard boxes to hold your every-day clothing – anything you don’t mind getting a little wrinkled or creased. Evening dresses and suits should not be crammed into a box! Place some sheets of white packing paper on the bottom of each box for extra protection. Place folded clothes into the box, stacking them snugly into the available space. Close up the box when done, sealing it with packing tape. Label each box with the contents and destination room. Wardrobe boxes are great for transporting expensive clothes, such as formal designer wear. These boxes are tall and feature metal rods so you can hang the clothing. You may spend up to $20 per box but the peace of mind you get is well worth it. Assemble as directed, then transfer your clothes directly from your closet and hang them right up in the box. Arrange your clothes tightly but not so much that wrinkling will occur. If you have space at the bottom, use it to store light things such as pillows and blankets, not heavy items. Close the wardrobe box and seal with tape, then label. Garbage bags are much cheaper than wardrobe boxes and don’t take up as much space. However, they don’t protect your clothing quite as well. Tie together a few hangers with the clothes already on them with a strong rubber band or cable tie. Poke a hole in the bottom of the trash bag and insert the metal hooks. To schedule a move in San Antonio with Advanced Moving, contact us at 210-722-1322 or email us at info@bestmoversintexas.com. Our hours are 8 a.m. to 5 p.m. Monday through Friday, located at 25900 US Highway 281 in San Antonio. Or, fill out the online form for a free estimate.